Every organization no matter how big it is would really look for a cost-effective solution for all the problems. Another thing that almost all the organizations do these days is that they prefer working on their core activities rather than doing other works that are necessary for the organization but do not come in the category of the core activities. 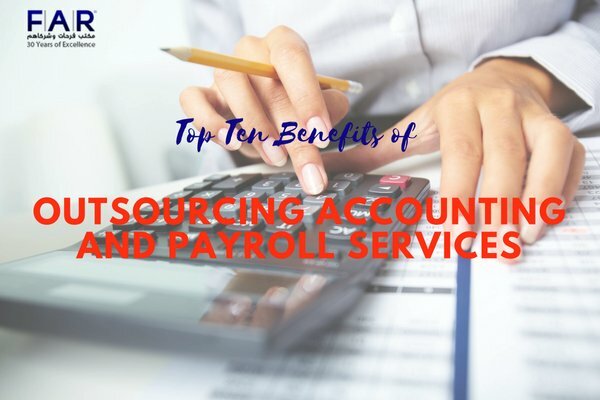 This is the reason why a lot of companies has started outsourcing their different activities including the outsourcing of payroll and accounting services in Dubai. There are a lot of other activities as well that are outsourced by the people so that they can concentrate on their own core activities. Who doesn’t want to make sure that they do not cross their budget and stay within their financial boundaries? Outsourcing function helps the organization in getting their work done in a relatively low amount which is why people prefer outsourcing the functions. When the service will be outsourced, the service provider will be responsible for every transaction that happens. That is why it becomes easier for the company to check if everything is functioning in an accurate manner. If this is not so, the hunch goes to the service provider. In this way, the company gets the idea about the fraud and the one who does the fraud. Due to the Payroll Services in Dubai, the employees get their payments in a very efficient manner because of the payroll outsourcing and this makes them get satisfied with their jobs as well. Because of the outsourcing, the companies get to reap the benefits that are related to the up-to-date technologies. When you outsource the functions of your companies, you do not have to worry about the bank reconciliations as the service providers will help you with it in a good fashion. You will keep in touch with the recent accounting status of your company because of the outsourcing. There are a lot of software programs that are helping the companies in looking at their financial status. This is very helpful in case of taking financial decisions because when the companies have known about their financial status, it becomes easy for them to take different decisions for their companies. Farahat & Co. is one of the top payroll services in UAE that can take care of every single detail you need to be handled about your payroll.